Regardless of who you are, something keeps your heart pounding. We all fear something – height, dark place, getting old, and so on. Nevertheless, for most people, their worst fear is losing their hair – and that’s what we’ll be focusing on in this Pura D’or shampoo review. It does not matter if you are 30 or 60 years old, or if you are a man or woman, the likelihood of suffering from hair loss is high. The good thing is that there are ways of solving this issues without involving hair transplant, expensive surgeries or using a wig. Painfully, all of these can be insanely expensive. Actually, you can do certain things to help fight against hair loss, which include changing your shampoo, eating the right foods, styling your hair the right way, and changing your conditioning routine. Overall, putting a stop to what is the reason for your hair loss can be the beginning of a beautiful and healthy hair. Nevertheless, losing hair is part of the hair growing process. Moreover, if you notice bald spots or thin areas especially in places where there was hair, then it is more likely symptoms of serious problem ahead. Therefore, it is time to find the perfect solution that will put your hair loss to a stop. 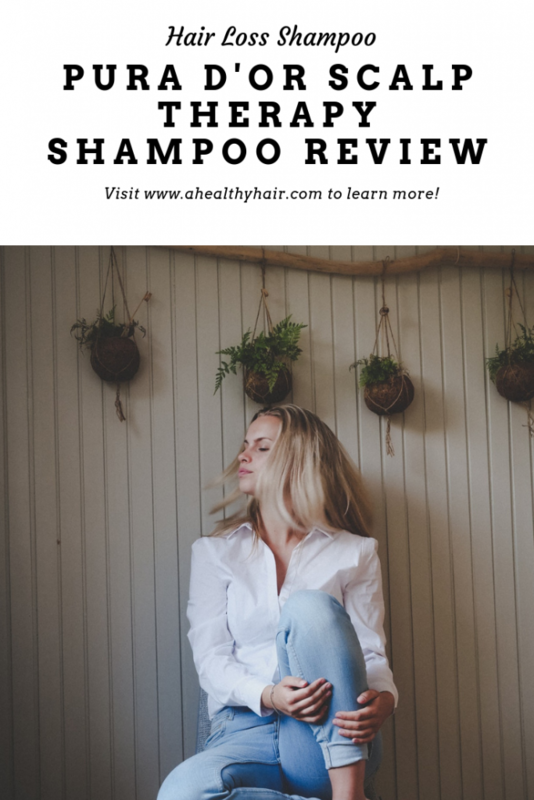 Don’t you think your hair deserves a uniquely designed organic shampoo to treat bald spots, strengthen, and thicken thin hair? Furthermore, you need an effective and efficient hair loss prevention solution that works with the desired outcome. But, do you know the hair product that actually works? We have researched, evaluated, and tested numerous hair loss products and shampoos to ascertain the product that works in treating hair loss. The research also further looked at the long-term effect of using such a product. After weeks of research, we discovered that Pura D’or hair growth products provide an effective solution to your hair loss problems. It actually gets to the root of the hair in both men and women. Before going further, it is important to note that this Pura D’or shampoo review is based on the following criteria. 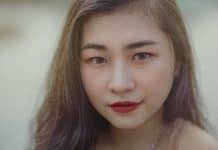 Most hair shampoos advertised today for irritated or itchy scalps often come with harsh sulfates and chemicals, which further irritate the scalp. It is quite unfortunate for someone having a scalp problem only to compound that problem. However, the Pura d’Or scalp therapy shampoo has come to the rescue of such individuals. The shampoo heals the scalp while reducing itching with the antibacterial, antifungal, and anti-inflammatory ingredients that clear the pores. Pura D’or scalp therapy shampoo is a daily dry scalp formula, which is designed to ease dry scalp while helping you to remove any buildup from strands. This moisturizing blend of Tea Tree, Argan Oil, Aloe Vera, and Peppermint not only eases the scalp but also helps in nourishing the scalp. Furthermore, it helps in reducing the appearance of flakes because of dryness. Remarkably, it is free from any harsh or harmful chemicals, environmentally friendly, and vegan, hypoallergenic and cruelty-free. Furthermore, it uses Argan oil, patchouli, cedarwood oil, peppermint oil, and lavender oil. These oils have the capacity of soothing, calming, and moisturizing the scalp. You can use this shampoo daily and it won’t kill your hair, unlike other harsh dandruff products on the market. The highlight of this product is that it has a moisturizing Aloe Vera formula for nourishment and superior-hydration of your scalp. Additionally, it helps ease scalp while minimizing dryness. Because of its ingredients, it is the best daily dry-scalp therapy if you want shinier hair and less irritation because of dryness. 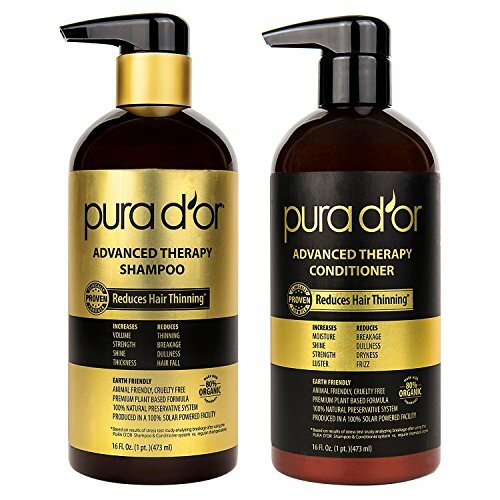 What makes Pura d’Or scalp therapy shampoo effective? What many want to know is how effective can a particular product is. After all, the reason people buy hair products is to see changes in the condition they are trying to solve. The description below will give you a glimpse of the potency of this shampoo. Gets to the root: This shampoo begins with a healthy scalp. It contains rejuvenating mixtures of oils and extracts, which does not only nourish and ease your scalp but provide relief from dry scalp. You get daily dry scalp: Because of its moisturizing blend of Tea Tree Oil, Aloe Vera, Biotin, Argan Oil, Vitamin B, Vitamin E, and other active ingredients help nourish the scalp, reduce the appearance of dryness, and minimize irritation. The shampoo helps encourage a stronger and healthy looking hair. Gentle but Effective: It contains an ultra-nourishing mixture of vitamins and oils, which is specially formulated for an invigorated scalp. It is gentle enough for your daily usage. First, apply to the wet hair, after which you gently massage into your scalp by using your fingertips. Then allow it to stay for at least 2 minutes before rinsing with water. This is necessary to allow deep penetration and complete absorption of the essential oils and extracts in the Pura D’Or scalp therapy shampoo. If you want to see effective results, ensure you use this shampoo for 3 months with the same procedure. Note that this shampoo doesn’t use a chemical foaming agent like SLS. However, if you want more foam from Pura d’Or products, just use extra pumps. Pura D’ or Argan Oil Hair loss prevention shampoo is one of the favorite hair loss shampoos on the market. Today, people spend so much money treating hair loss, which includes costly hair restoration procedures. In this review, we will take a comprehensive look at the main ingredients. Furthermore, this review will explore how it works, its texture, smell, and why many use it. Pura D’ or Argan Oil Hair loss is shown to increase one’s hair volume, reduce premature hair loss, and support both natural and healthy hair growth, especially when used daily. Interestingly, this shampoo contains no DEA, no parabens, and no harsh chemicals. With this shampoo, you do not have to fear of any sort of damage to your hair. The ingredients of this shampoo are 100% natural and organic; it contains no synthetic compound or harmful preservatives, which can cause allergic reactions. The following are the active ingredients contained in this shampoo. This ingredient is a native American herb, which has been useful for years in treating issues regarding prostate. Some scientific studies have discovered the effectiveness of this ingredient as a treatment for hair loss. Furthermore, it is believed to stop the aromatization of testosterone into DHT. The DHT is the hormone that makes the hair follicles to shrink and shut down. There has been a success in the use of this ingredient in slowing down your hair loss rate. The inclusion of Saw Palmetto in Pura D’ or is a plus. Argan oil contains antioxidant, anti-inflammatory, and healing properties, which are derivable from Omega-6 fatty acids, Vitamin A, Vitamin E, and linoleic acid. Various research and studies have indicated that applying Argan oil to the hair can help restore moisture in the hair and scalp. Because of this, many cosmetic companies use Argan oil in their products. Nettle extract is relatively a new compound used in hair loss product and has shown to help in reducing the production of DHT. It is effective in treating hair loss for both man and women. Nettle extract is gotten from the stinging nettle plant, which is also known as Urticadioica. The stinging nettle for long is used for different medicinal purposes. Furthermore, the root is rich in phosphorus, sulfur, nitrogen, iron, and magnesium. This ingredient has anti-dandruff properties that help in killing all bacteria and fungus cells, which may reside on the hair scalp. Furthermore, it helps in increasing the penetration of other ingredients into the hair follicles. It means that hair follicles can absorb and use other DHT compounds while increasing the effectiveness of Finasteride and Rogaine. The Pura D’ or Shampoo also has Biotin, which is among the Vitamin B group. Biotin helps in promoting keratin synthesis, which is the protein our hair is made off. This ingredient in Pura D’ or Shampoo helps in increasing your hair growth while strengthening both your nails and hair. Biotic helps in producing stronger cells, which amount to a stronger and healthier hair. Furthermore, it helps in the development of the digestive tract, healthy skin cells, and aids the maintenance of a healthy metabolism. These all help in giving you a healthy scalp and healthy regrowth of the hair. There are over 10+ ingredients used in Pura D’or Shampoo, which help protect and strengthen your hair to stimulate hair follicles to grow and thicken the hair. Pura D’or Shampoo Review | Does It Really Work? Similar to any product, the results gotten from individual will vary. There are different factors that may contribute to this outcome. The overall effects and results of hair product will depend largely on the type of skin, hair, and genetic makeup of the individual. Therefore, when using Pura d’Or shampoo, it is essential to put this into consideration because it may work differently for each person. The result may not be as effective or have the same effects from one person to another. Before going further, it is important to note that you won’t experience any difference when using this product immediately. It takes at a minimum of 3 months of consistent treatment before you begin noticing a significant decrease in hair shedding. It is very easy to use especially if it is your first time. Rub the shampoo in between your hands until it gently lathers. Don’t make the mistake of washing your hair directly as other do. Rather, your focus should be on the scalp – therefore rub it on the scalp gently for 30-40 seconds. Subsequently, wash the hair under running water for 30 seconds. Repeat the process again for a complete wash. Ensure you rinse thoroughly so as not to leave any hair feeling oily or greasy. Allow the hair to dry completely after washing it. Pura D’or original Gold label shampoo is tested clinically to reduce hair thinning because of breakage, increase hair strength, volume, and shine. The product is proprietary blended with 17 key active ingredients, essential nutrients, and organic extracts to boost, strength, and resist hair breakage. Furthermore, it is packed with a blend of Nettle, Biotin, Black Cumin Seed Oil, and Pumpkin Seed to increase hair volume. Additionally, it is free from any harsh chemicals and environmentally friendly. It contains a blend of 17 key active ingredients, which helps in reducing hair loss because of breakage. The primary difference between the gold and blue label Pura d’Or shampoo is more of a premium product. Unlike the blue label that has 12 key ingredients, the gold label contains 15 active DHT blocking ingredients. The blue label utilizes an alcohol-based preservative called phenoxyethanol, which has the tendency of causing a slight reaction to your scalp. However, this is not a common situation. On the other hand, the gold label is priced higher than the blue label. The gold label shampoo is an amped up to the version of the blue hair loss prevention shampoo. Furthermore, the gold switches from 99% natural preservatives to 100% natural preservatives. Additionally, it is slightly moisturizing, unlike the blue hair loss prevention shampoo. In using any self-care product, there is a need for commitment towards a regular basis. Essentially, if you want to retain the effectiveness and potential benefits of this product, you have to continue using it. Conversely, you have to let go of other shampoos you have been using even if they contain ingredients that are harmful to your hair. 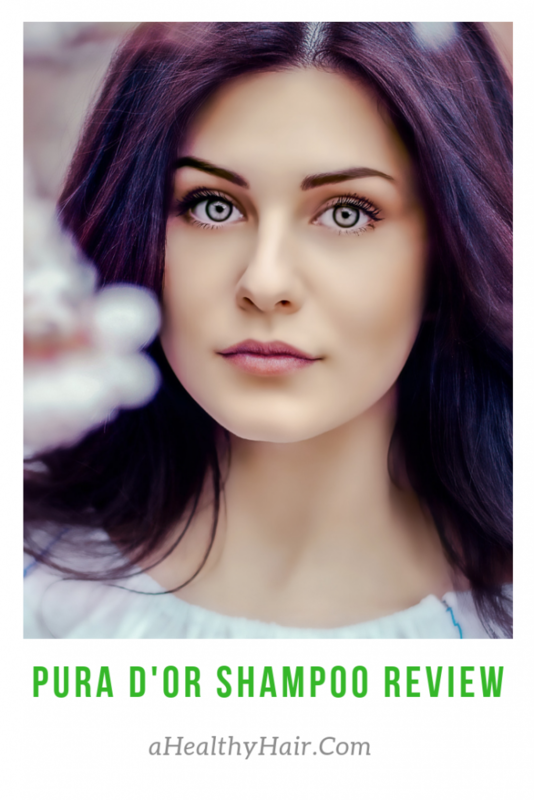 Nevertheless, if you are considering a good and effective hair shampoo with no harsh chemical, it is better to go for the Pura D’Or Hair loss prevention premium organic shampoo. Are you struggling with hair loss, thin hair, or bad spot? This is extremely frustrating, embarrassing and can cause low self-esteem. However, it may be a common sign that you are aging. If you are tired of losing hair, perhaps it is time to try an organic hair shampoo. It is time for your hair loss problem to be history. The fact that the product contains only natural organic ingredients is a massive boost for those running away from harsh chemicals in some hair shampoos. It is a great value for your money especially if you know the importance of its natural ingredients. Nevertheless, in terms of foam, you may feel disappointed if you have used other products that were foaming. Though it doesn’t foam, it stills perform the same job that your regular shampoo does. After reviewing some of the products of Pura D’or, it is important to note that when using this product, persistence and patience is the key. The natural ingredients do not temporarily mask the issues rather they work from the inside out to deal with the source of the issue. The truth is any real healing requires time. It may be disappointed when you start using any hair loss-reversing product; however, there is no need to be discouraged. Pura D’or is a brand respected in dealing with hair loss problem. Finally, if you think that the company’s claims of its product having all the active ingredients you need to repair your hair are an exaggeration, then you have to experiment by giving it a shot. Try it and see your hair become healthier than ever before.